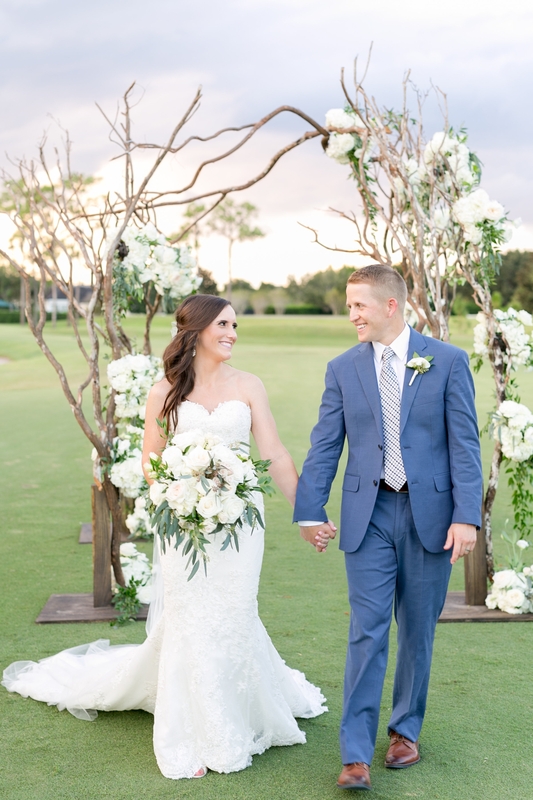 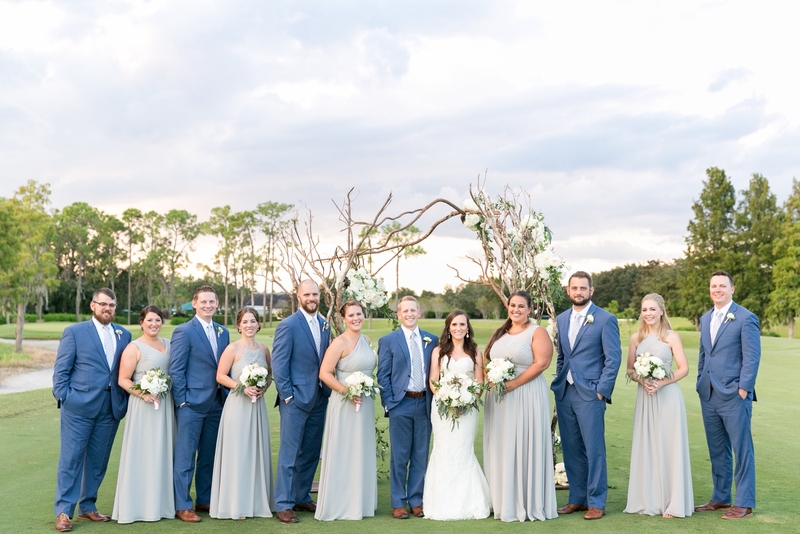 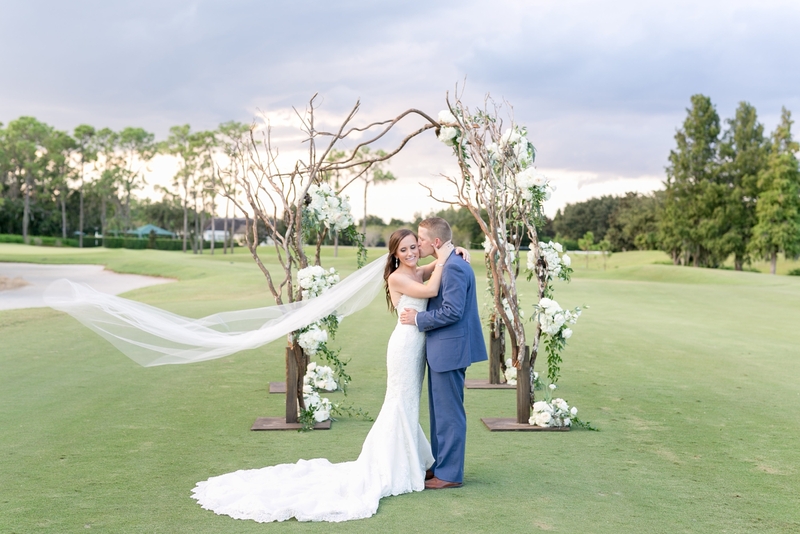 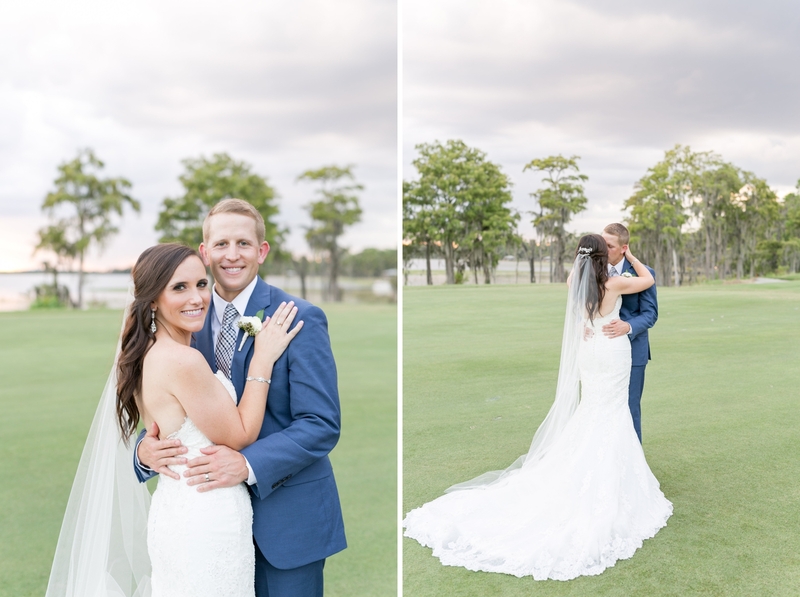 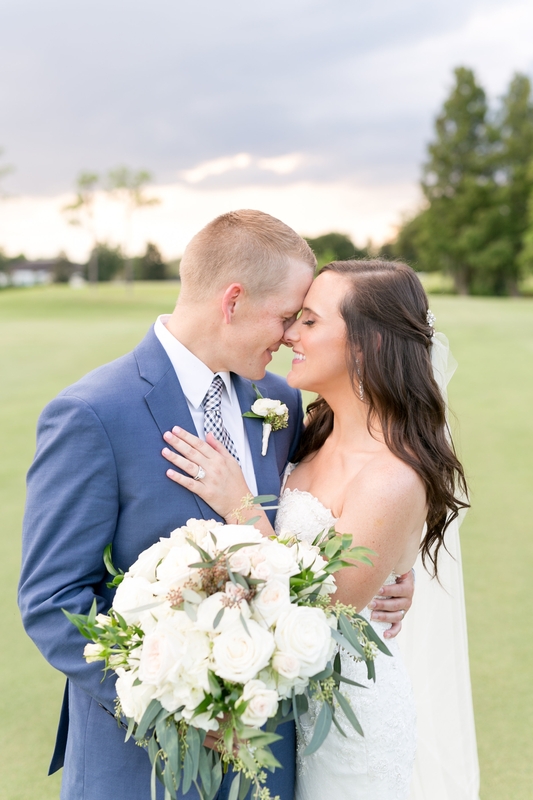 Lindsey and Matt tied the knot at the 18th hole at the Lake Nona Country Club on Saturday night. 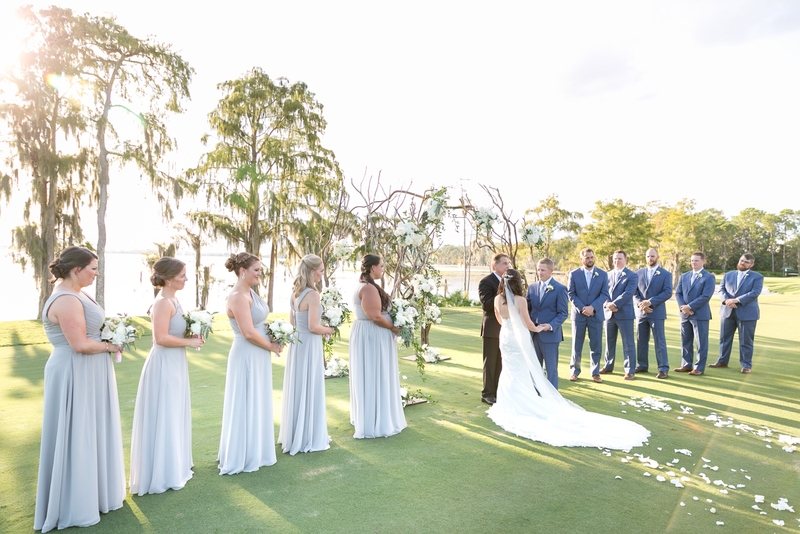 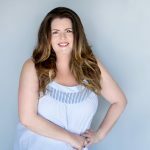 The ceremony took place just before sunset under their gorgeous chuppah made of branches and flowers, giving a classy and rustic vibe to the evening. 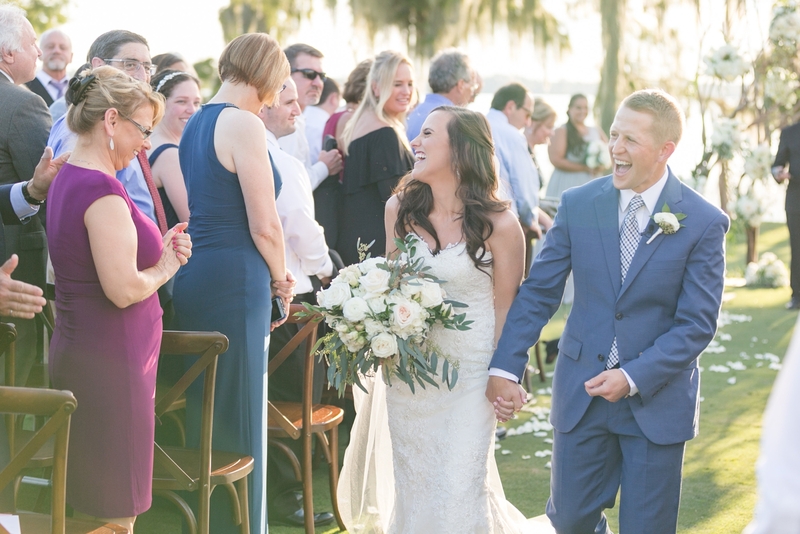 The couple felt connected to this venue because it’s the community where Lindsey’s dad lives. 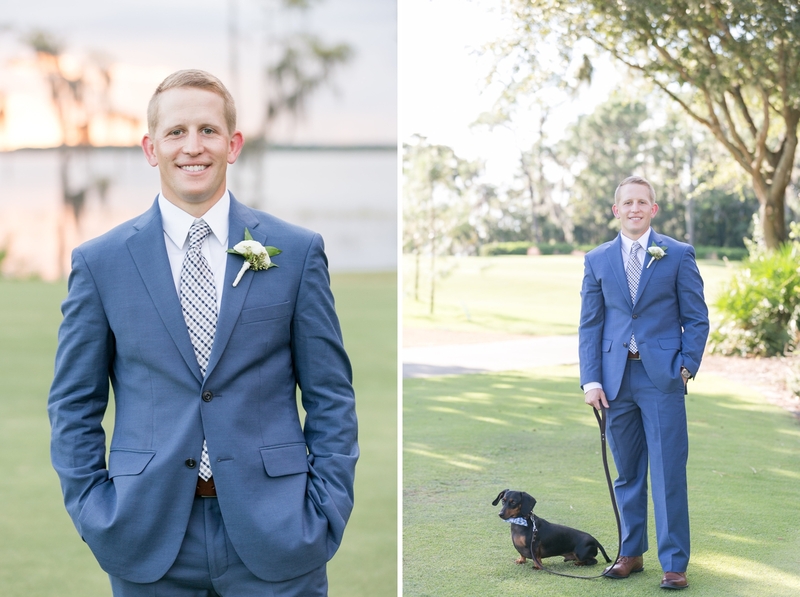 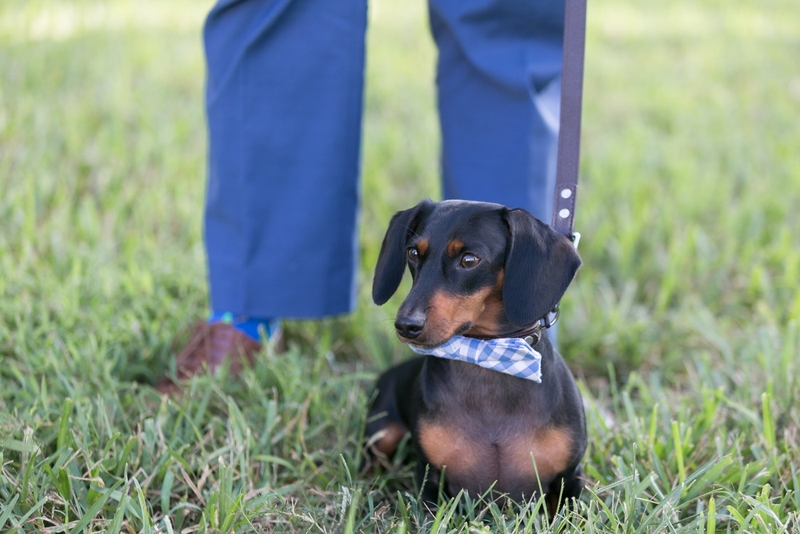 Having their dog, Maxwell, as the ring bearer was the perfect way to include their furry companion, of course with a bow tie to match! 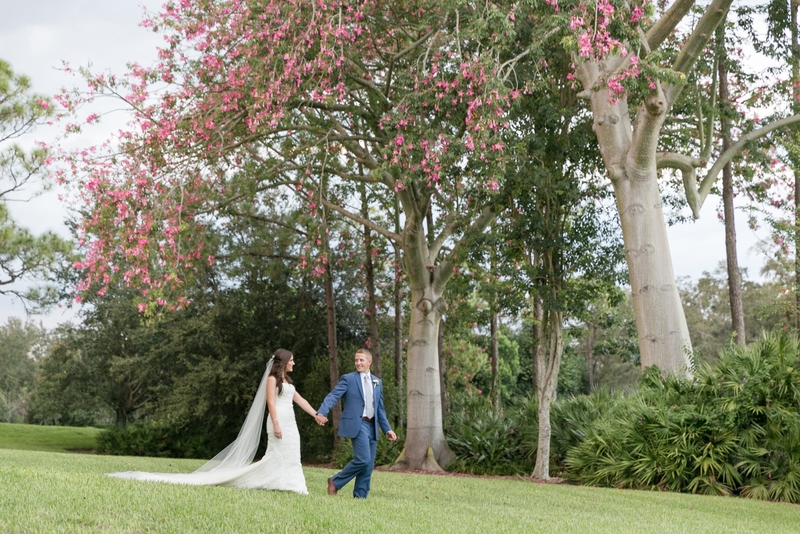 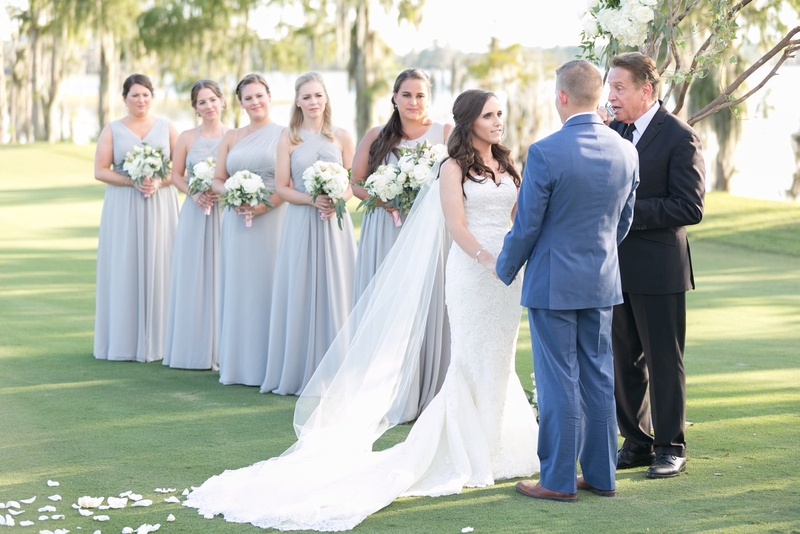 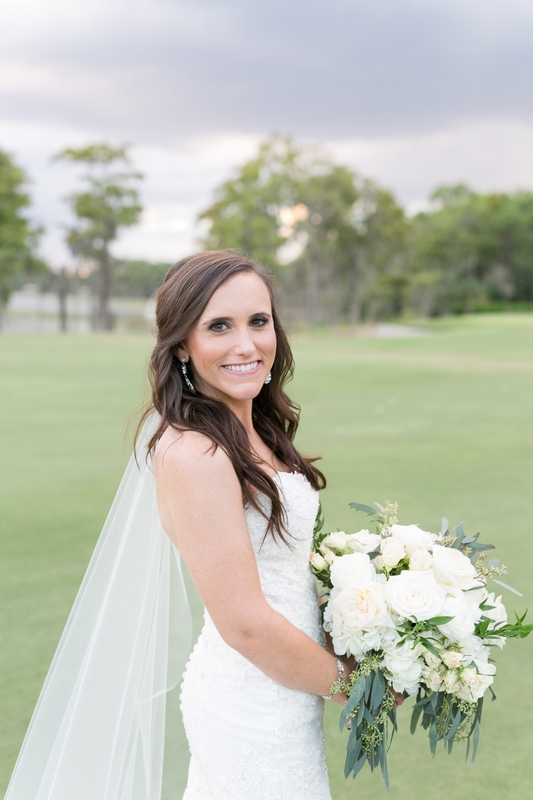 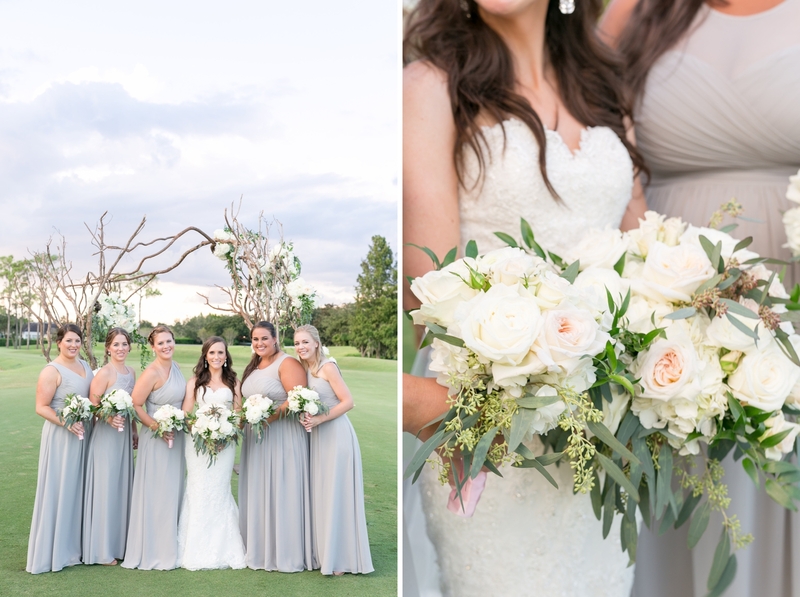 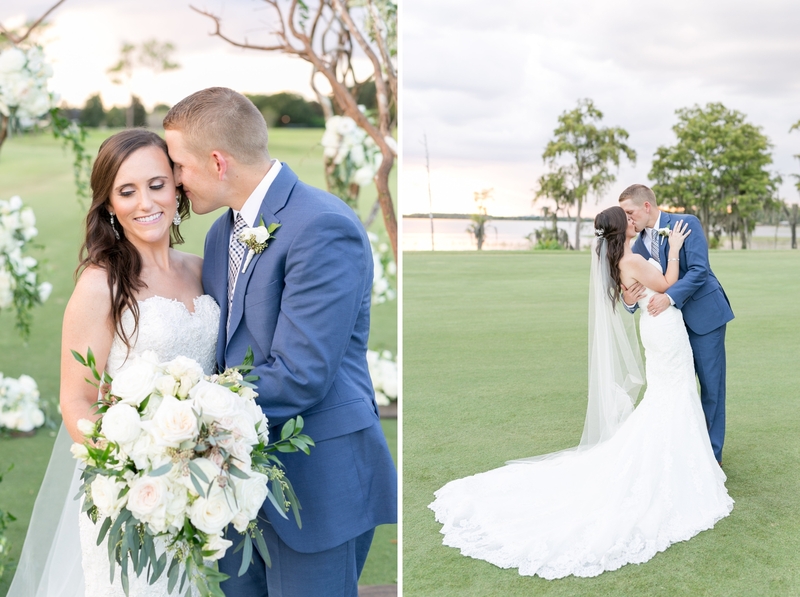 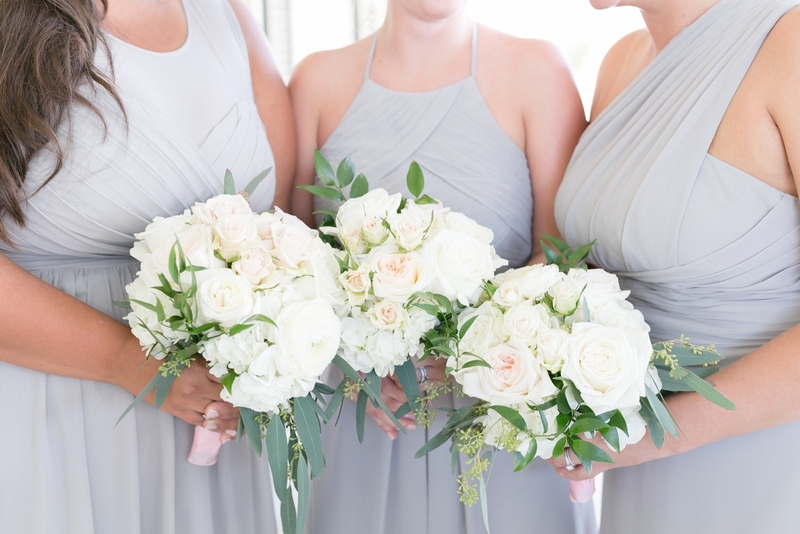 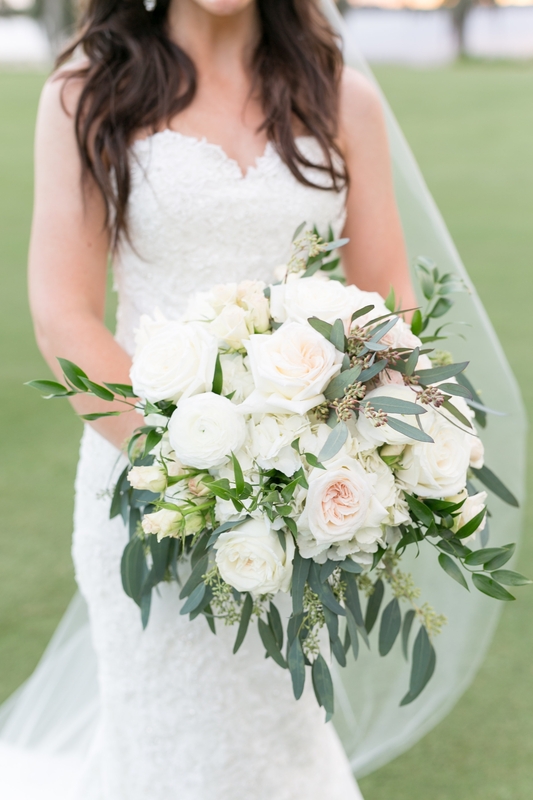 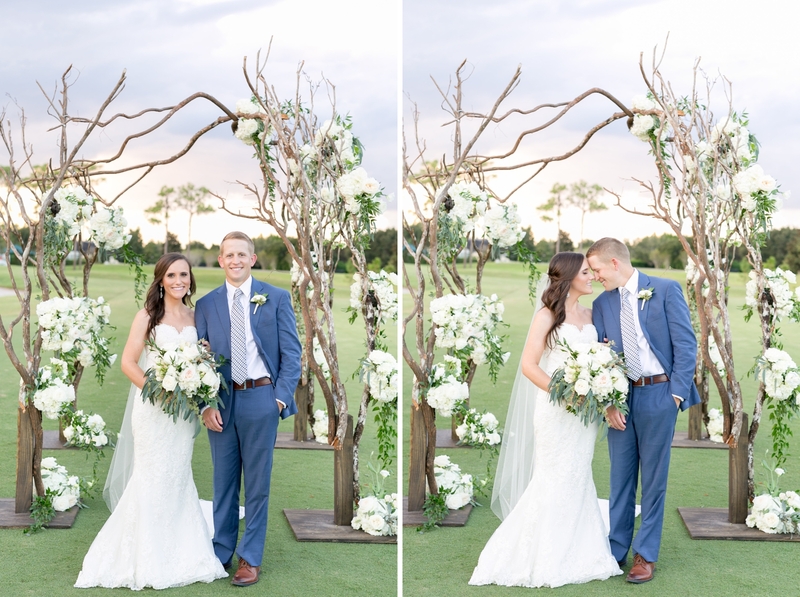 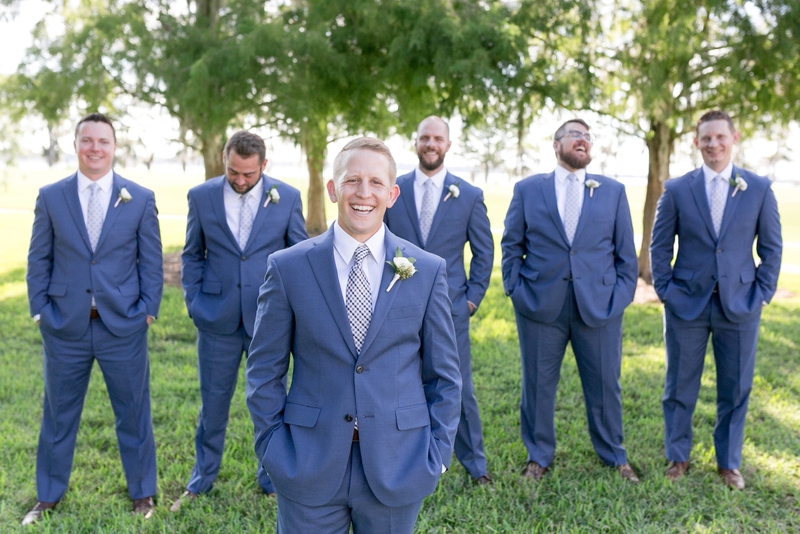 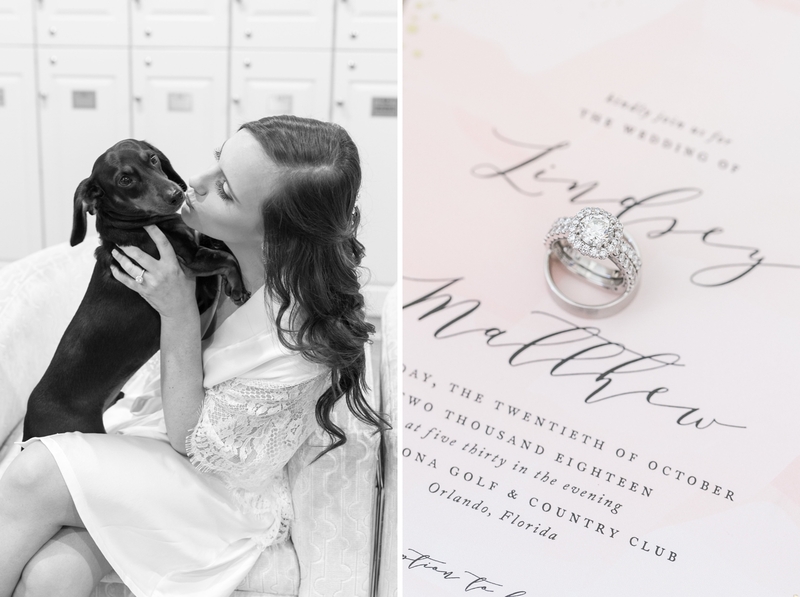 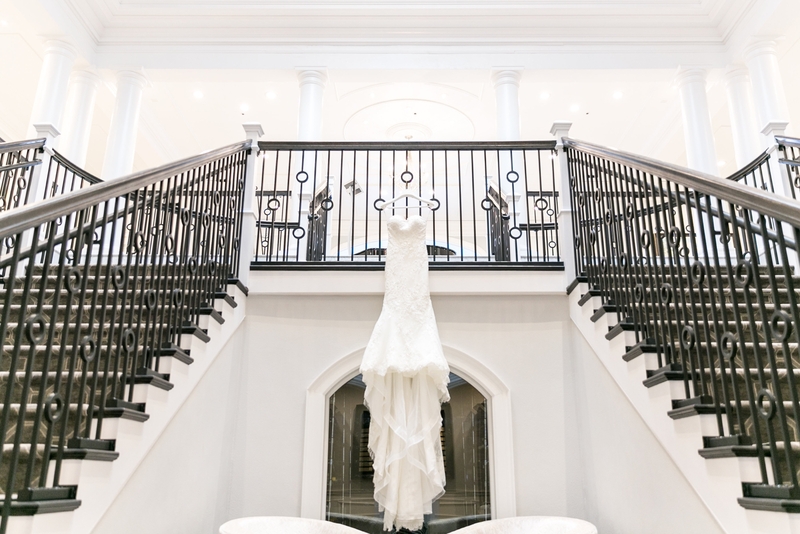 This Lake Nona Wedding was everything and more. 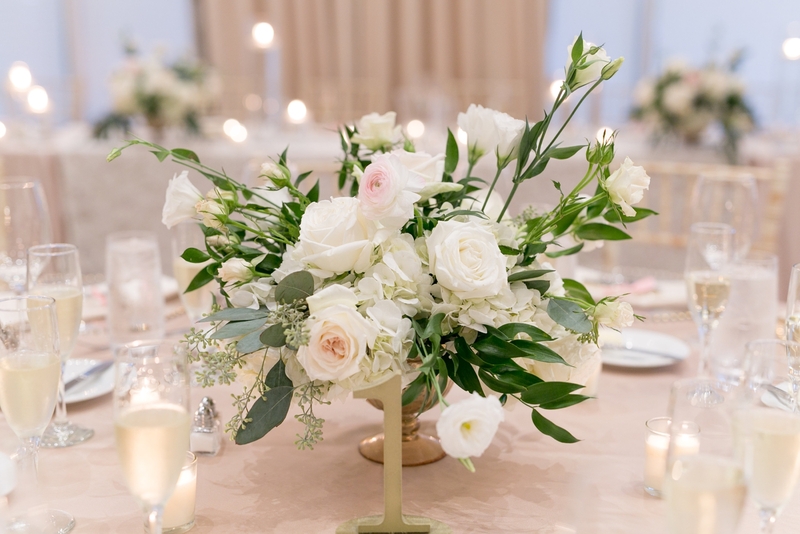 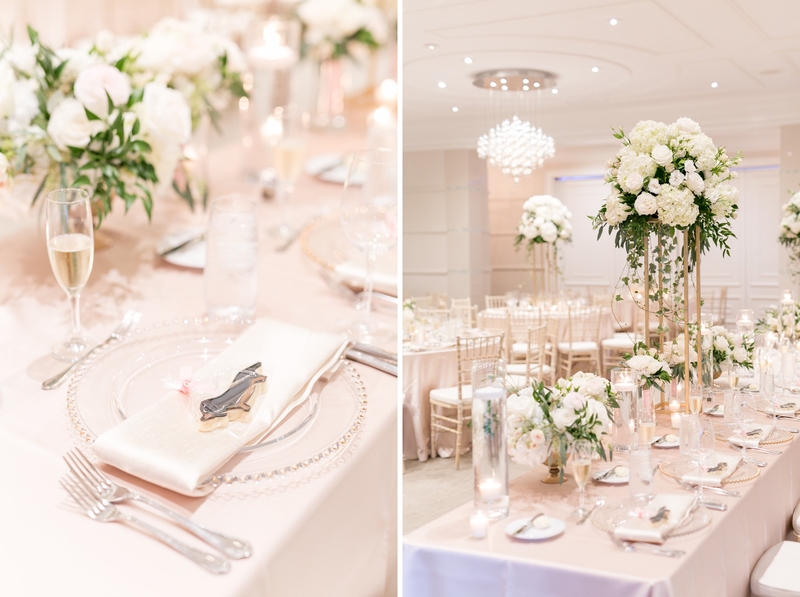 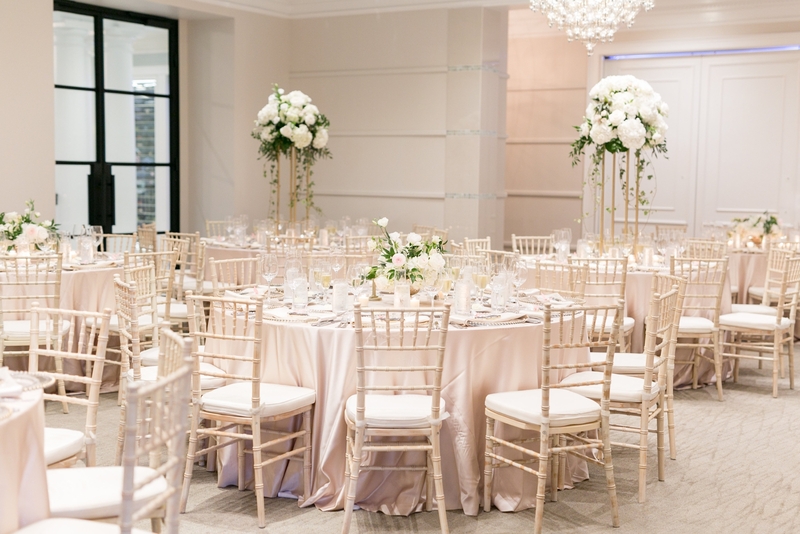 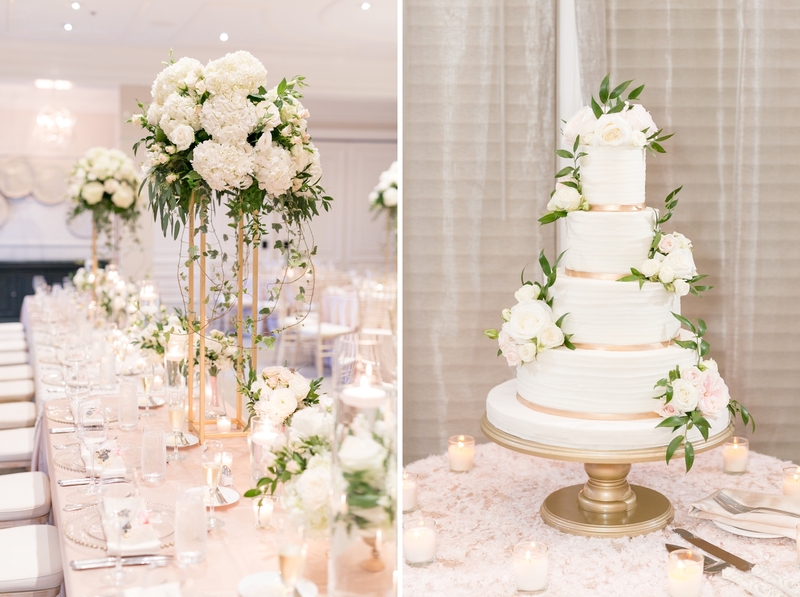 The reception was classic and elegant with blush linens and ivory flowers on all of the tables. 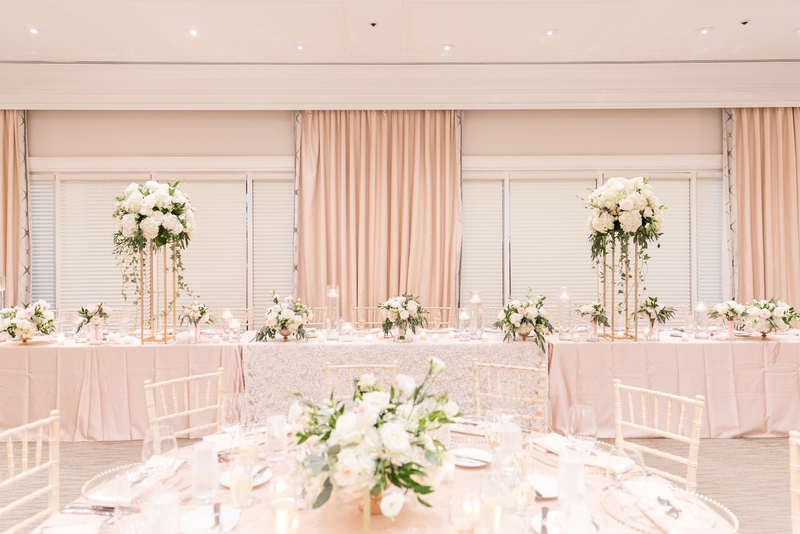 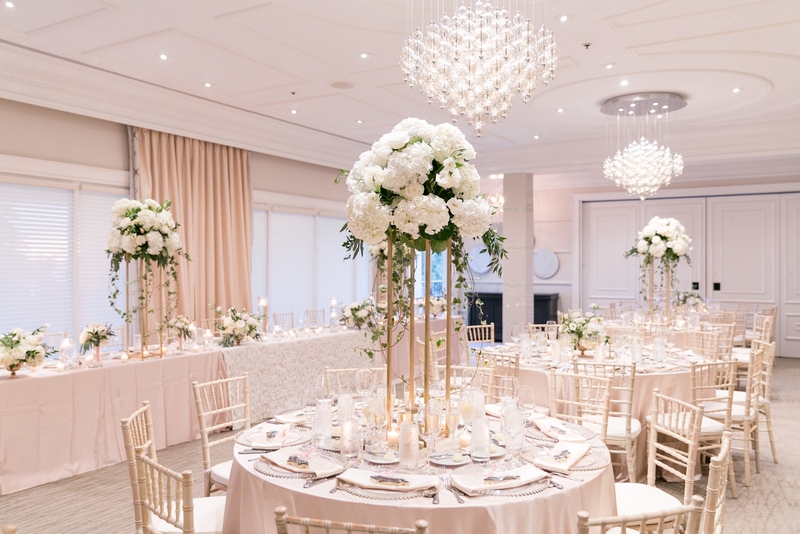 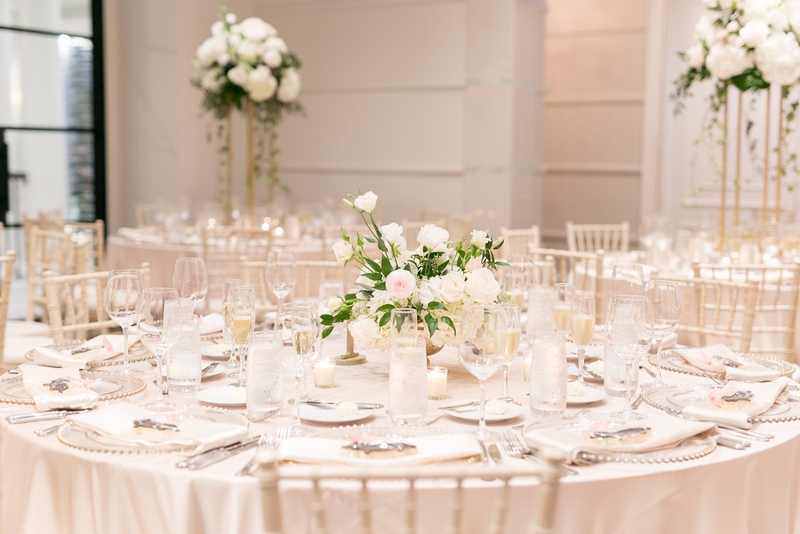 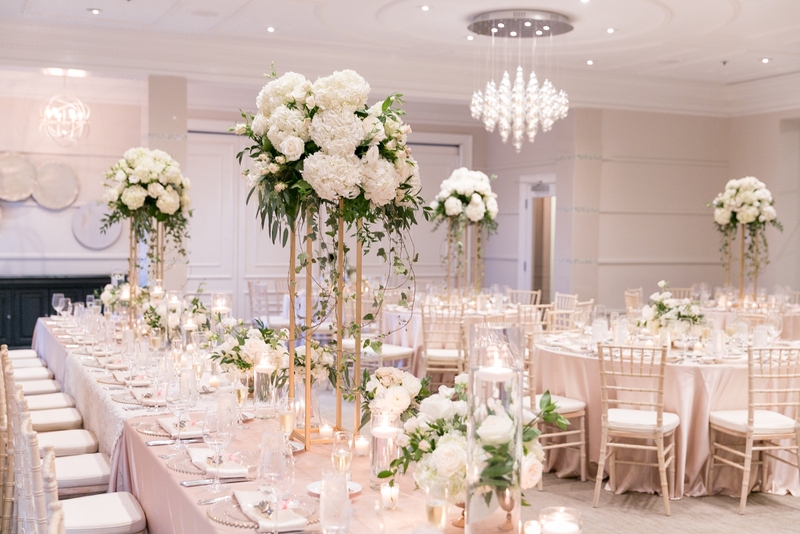 Everything was light colored which gave a clean look to the ballroom. 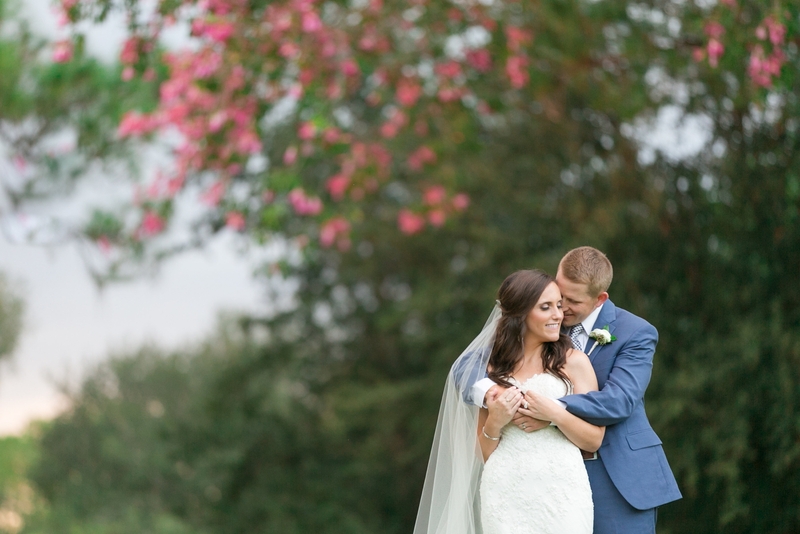 Lindsey and Matt concluded their special day with a two week honeymoon to the Greek islands.